Would you make a good hypnotherapist? Take our career test to find out how you match with this and over 800 other careers. What is the workplace of a Hypnotherapist like? A hypnotherapist is a skilled and trained professional who, by inducing a trance-like state, helps people use their subconscious mind to change behavioural patterns or ways of thinking. It is important that the client is really wanting to change their negative thoughts, feelings or behaviours in order for the hypnotherapist be able to help the client. The mind is very powerful, and to one degree or another everyone is susceptible to suggestion; the hypnotherapist will determine an individual's degree of suggestibility by guiding them through some exercises. Before hypnotizing the client, the therapist will discuss in detail the problem that needs to be resolved and the goal that the individual would like to achieve. The hypnotherapist will also explain what hypnosis is, how the mind will be operating in its subconscious state (or the 'first gear' of the mind), what will be experienced during hypnosis and how it will work to help the individual. 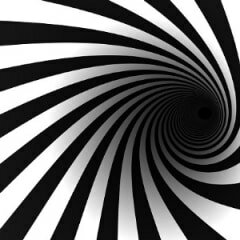 Finally, based on the results of the client's suggestibility and the nature of the problem or goal, your hypnotherapist will induce a hypnotic state. The therapy will become more individualized and have a greater impact if the hypnotherapist can share in the experience of the client. Hypnosis can help people with psychological issues or goals, but it is not done by waving a watch or pendulum in the patient's face and saying "you are getting sleepy" as often seen in old and popular cartoons and films. Contrary to popular belief, hypnosis does not involve being put in a deep sleep, and the client cannot be forced to do anything that they would not ordinarily do. They remain completely aware of their surroundings and situation. The essential thing is how much they are motivated to make a change, and to stay away from their habit or addiction. Their motivation and eagerness, as well as their relationship with the therapist, are major factors leading to the success of hypnotherapy. Are you suited to be a hypnotherapist? Hypnotherapists have distinct personalities. They tend to be artistic individuals, which means they’re creative, intuitive, sensitive, articulate, and expressive. They are unstructured, original, nonconforming, and innovative. Some of them are also enterprising, meaning they’re adventurous, ambitious, assertive, extroverted, energetic, enthusiastic, confident, and optimistic. Does this sound like you? Take our free career test to find out if becoming a hypnotherapist is right for you. It is becoming increasingly popular to run a successful hypnotherapy practice from home. A room and office set up neatly in your home gives a warm, homey feel, allowing the client to feel more at ease and more relaxed. Of course, many hypnotherapists also set up practices in private clinics.